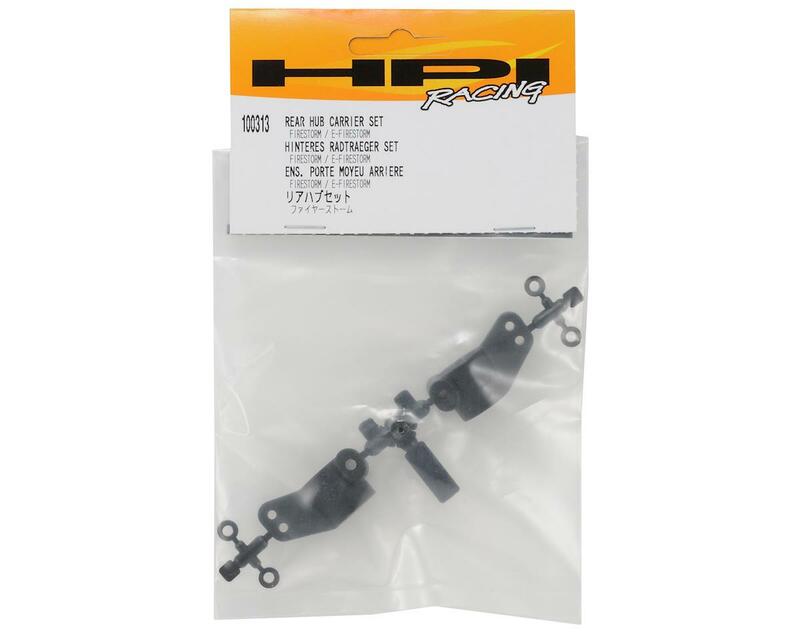 This is a replacement HPI Rear Hub Carrier Set, and is intended for use with the HPI Firestorm family of vehicles. 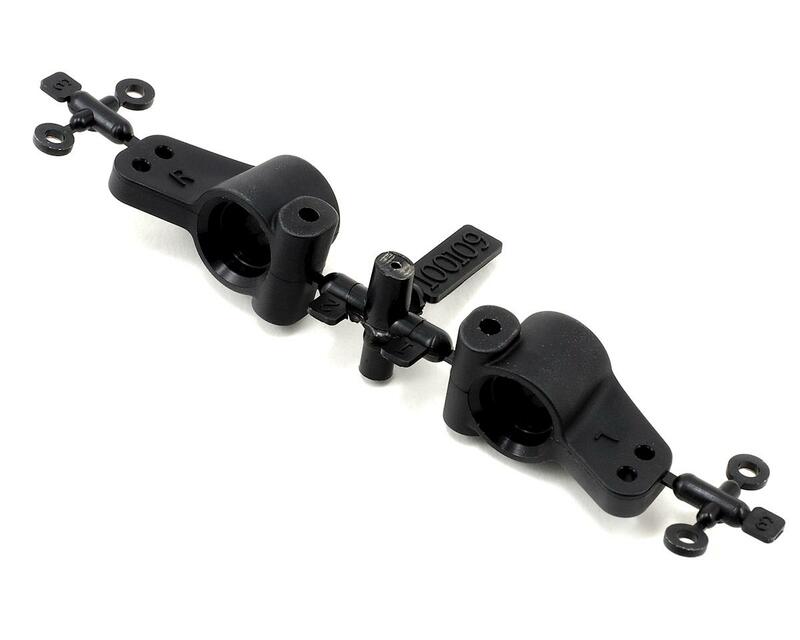 These rear hub carriers attach to the rear lower suspension arms, and hold the bearings that support the rear axles. They feature 2 upper camber link locations, allowing changes to be made to the rear roll center.